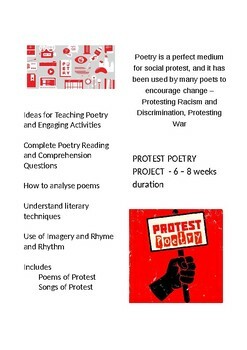 This comprehensive 41 page Unit of work, workbook focusing on how protest poems and songs are associated with movements for social changes - protest, resistance and empowerment. 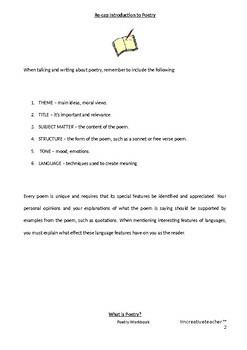 Include are explanations, analysis and extensive activities to learn how literary techniques enhance language, sounds and words. 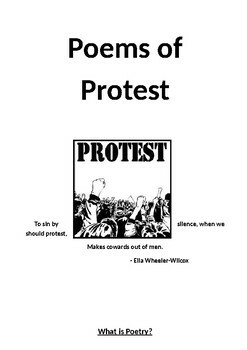 Students can listen to songs, and read poems to gain a better understanding of change. 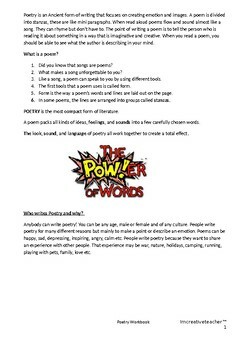 Everything you need to teach this unit of work, which engages and motivates student to learn and challenge.